The University Aviation Association (UAA) is the voice of collegiate aviation to our members, the industry, government and the general public. 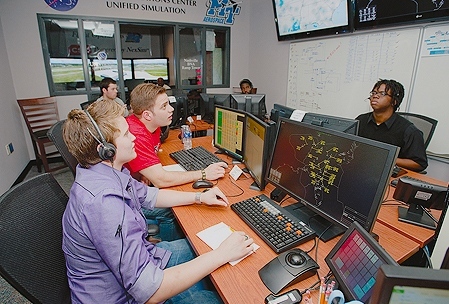 Through the collective expertise of our members, UAA plays a pivotal role in the advancement of degree-granting aviation programs that represent all segments of aviation. LIMITED OFFER! 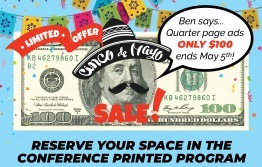 Quarter page ads for the conference program are ONLY $100...the Sale ends May 5th! Contact UAA at hello@uaa.aero or (901) 563-0505. The poster competition provides both graduate and undergraduate students the opportunity to publish and share their research findings at the conference and via the UAA website. NBAA has three exciting paid internship opportunities in Washington, DC, and Warrenton, VA. The UAA Annual Collegiate Aviation Conference, now in its 72nd year, offers the ideal opportunity to gain exposure to innovative, groundbreaking programs, partnerships, and to share best practices with leading educators and industry representatives.